The Pearl river delta is China’s most dynamic, open and innovative region, says Vijay Vaitheeswaran. Can it show the way for the rest of the country? LIBERAL ECONOMICS MAY have gone out of fashion, but not before working miracles in some parts of the world. To witness one of them, visit the Luohu immigration-control point on Shenzhen’s border with Hong Kong, where some 80m crossings are made every year. Since Deng Xiaoping designated the mainland Chinese city as a special economic zone in 1980, putting out the welcome mat for foreign investment and encouraging private enterprise, trillions of dollars of trade and investment have flowed across this border. Forty years ago Shenzhen was a rural backwater. Today it is the most dynamic city of the Pearl river delta (PRD), China’s most innovative region. Rem Koolhaas, a Dutch architect who teaches at Harvard, called it the ultimate “generic city”—a place without legacy that can swiftly adapt and grow with the times. It is still doing that, but is now old enough to have a memory. Not far from the border crossing is Hubei, one of the city’s original communities. Old buildings in the neighbourhood are being demolished to make way for modern structures. “If we all get involved in this transformation, every family will benefit!” declares a giant banner. The authorities are offering compensation to villagers and local homeowners. “Many people consider this place a slum,” explains Mary Ann O’Donnell, an American expert on Shenzhen’s urban villages. It is indeed shabby compared with Nanshan, a wealthy high-tech neighbourhood nearby with an average income per person of over $50,000 a year. Yet even this humble place has benefited from globalisation. The homes here have proper walls and roofs, as well as electricity, running water and sewerage. Hubei is not heaven, but any slum-dweller in Caracas or Mumbai would love to live like this. After comparing Ancient China with Ancient Greece (Ancient Greece vs. Ancient China) and Ancient Rome (Ancient Rome vs. Ancient China), let me now compare it with the era of the Byzantine Empire. It is an era because it spans about 1,000 years, involving many historical events that have implications for the ultimate purpose of this series of comparisons: helping my fellow Americans better understand China. None of its Emperors was based in Rome. From its onset and throughout its history, it was a total fusion of imperial power and religion (i.e. Christianity), while the Roman Empire adopted Christianity only in its later years. It was very focused on "the Roman Lake" (i.e. the Mediterranean Sea), ignoring most of the other areas (e.g. Western Europe), as shown by the image below. Summary: There is no clear, internationally accepted definition of what activities or technologies constitute a nuclear weapons program. This lack of definition encumbers nuclear energy cooperation and complicates peaceful resolution of proliferation disputes. There is no clear, internationally accepted definition of what activities or technologies constitute a nuclear weapons program. This lack of definition encumbers nuclear energy cooperation and complicates peaceful resolution of proliferation disputes. A “nuclear firewall” could enhance the distinction between nuclear weapons–related activities and other non-weapons uses of nuclear technology. Applying a firewall framework for analyzing nuclear programs could improve international governance of nuclear technology and facilitate peaceful nuclear cooperation and disarmament. It could also expand the time and means available to key states and international bodies, such as the International Atomic Energy Agency and United Nations Security Council, to diplomatically resolve impending proliferation crises. The Nuclear Non-Proliferation Treaty (NPT), which establishes the norms and rules that guide the international management of nuclear technology, does not define the term nuclear weapon. Nor does it identify the evidence that would determine whether a state is seeking to manufacture or acquire nuclear weapons. Such definitional and analytic ambiguity exacerbates the task of distinguishing whether components, equipment, nuclear materials, and facilities are related to nuclear weapons programs or, instead, are for purely peaceful applications of nuclear technology. It also complicates national and international deliberations over the legitimate boundaries for peaceful civil nuclear applications, as well as the handling of proliferation risks and responses. Analyst Stephen P Cohen aptly described the task of special forces in his book The Idea of Pakistan as, "The proxy application of force at low and precisely calculated levels, the objective being to achieve some political effect, not a battlefield victory". There is considerable confusion in India (including some created deliberately by vested interests within the military) as to who the special forces are. In effect, they are the military special forces, the special action groups of the National Security Guard and the special action groups of the Special Frontier Force albeit India has failed to employ these forces strategically, as the case should be. Dutta: The book was written primarily with the aim to record the history and the facts on the evolution of the special forces in India. Currently there isn't any book available on Indian special forces and this dearth of literature, in our view as detrimental to the future evolution and growth of India's special forces. The era of conventional wars in almost over in the Indian context. In such a scenario, special forces could play a decisive strategic role in the spectrum of conflict. We recognised that this was not being understood in the military and the political hierarchy. Our attempt is to ensure that we put out a sound case that is rooted in history and also sources authentic material to substantiate what we say. It is also an attempt to correct the misperceptions and the misconceptions about the special forces and their roles that currently haunt our security mandarins and politico-military leadership. Saikat had once written that, "The evolution of special forces in India continues to be a painful and muddled process". Can you explain what do you say so? Gen Katoch: When the first Indo-US Defence Planning Group meeting was held in New Delhi post 9/11, the Americans were flabbergasted to learn two facts: first, that our ministry of defence had no military personnel on deputation or on permanent absorption; second, that our parachute (special forces) battalions and parachute battalions are grouped in the same parachute regiment. Rogue, Maybe. But The One Thing Pakistan Is Not Is A Failed State SNAPSHOT Ideology, not territory, is the motivating factor behind the idea of the Pakistan state. As long as it holds on to its idea, Pakistan cannot be called a failed state. To defeat a state defined by ideology, you need to defeat that ideology. Defeat in war is not good enough. Pakistan has a knack of getting our goat, and we fall for it every time. The latest reason for Indians to work up an apoplectic fit is the Pakistani Army’s decision to pass a death sentence on Kulbhushan Jadhav, a former Indian Navy officer who was probably extracted from Iran. Reason: he is allegedly a Research & Analysis Wing agent spying for India or fomenting trouble in Balochistan. While Parliament went ballistic on the issue yesterday (11 April), security experts and analysts speaking on TV channels were busy accusing Pakistan of disregarding international law and condemning Jadhav through a sham trial. Some Bharatiya Janata Party spokespersons worked up enough of a froth to call Pakistan a failed state. It may give us temporary and psychic satisfaction calling Pakistan a failed state, but its leaders cannot stop smirking at our naivete. Nothing gives the Pakistanis greater pleasure than to see Indians throwing a fit over what they have done. The least we can do is not give them this kind of vicarious satisfaction by exhibiting impotence. The Jadhav case shows how, despite 70 years of being witness to Pakistan’s perfidies, we seem to understand so little about them. The only way to handle the Jadhav crisis is to speak very little about it, find leverage and get his released in exchange for someone Pakistan values (like its own armymen). Pakistan may be a rogue state, which follows no canons of justice or law when it comes to dealing with us. It may be a “greedy” state, an ideological state whose sole purpose is to fundamentally change the status quo in the sub-continent. It may be a “security” state, one that is excessively obsessed with security. But the one thing it is not is a “failed state.” Given the contradictions emerging within Pakistan and its description of itself as an Islamic state, and a largely Sunni one at that, and especially following the separation of Bangladesh in 1971, Indians have come to believe that the idea of Pakistan will ultimately crumble and fail. Maybe it will. But “a failed state” is not one that is merely unable to keep itself in one piece. That has happened often enough – in Russia, Yugoslavia, Indonesia (East Timor), Cyprus, Sudan, etc. But the rump state continues as before in all these cases, and have possibly grown even stronger than before, now that they have shed their weaker parts. The only definition of a failed state is one where central authority completely withers and dies, and the economy is unable to provide it the wherewithal to defend itself. This is not the case with Pakistan. Since 2009, foreign investors have not given Pakistan a miss, and the Karachi Stock Exchange has been the third best-performing bourse in the world. Moreover, with the backing of the world’s second superpower, China, especially through its investment in the China-Pakistan Economic Corridor (CPEC), the puny Pakistani economy is gaining ballast, growing at over 5 per cent, annually. Terror may be tearing its cities apart, but the idea of Pakistan is holding. And let’s not forget: in terms of reforms, a Pakistan under army control will be able to push them faster than India with its fractious politics. So the economy will hold up in the foreseeable future. Most important, a state fails when it is unable to define itself or its strategic goals coherently. But this is the last thing one can say about Pakistan. Even when it was yet to be cleaved from pre-1947 India, Pakistan has never been unsure of its destiny or what it wants: an Islamic state that will ultimately rule over most of sub-continent. Not only that. In a country where the army is the state, political parties and civil society do not matter. At best, they may be used as temporary covers while the army recoups its credibility after reverses (as in 1971). It has the military, and nuclear heft, to hold itself together, even if it means perpetrating the worst kind of brutalities. It is happy to take one nibble at time, with Kashmir Valley obviously being the first objective. Venkat Dhulipala, author of Creating a New Medina, who looked at Muslim politics in the United Provinces (currently day Uttar Pradesh), says that from Day One the idea of Pakistan was modelled on the Prophet’s decision to create a new community of believers in Medina, when the Meccans were unwilling to accept his radical ideas. When the idea of Pakistan was being conceived and key leaders of the Jamiat Ulema-e-Hind were supportive of the Congress in the name of a “composite” nationalism (muttahida qaumiyat), a prominent dissident from Deoband, Ashraf Ali Thanavi, said no Muslim could be part of a party or a nation whose leaders were not decisively Muslims. He asked all Muslims to stay away from syncretic ideas. Mohammad Ali Jinnah, after initially using the idea of Pakistan to excite Muslims and make himself their sole spokesman, soon gave up his “secular” credentials and started believing in Islamism. At one point, he fantasised that “Pakistan holds the key to the liberation of the entire Islamic world.” (Note: All quotes from pre-independence Pakistani leaders are from Dhulipala’s book) The Raja of Mahmudabad, a close Jinnah aide, told his Muslim audiences repeatedly: “The creation of an Islamic state – mark my words gentlemen – I say Islamic, not Muslim, is our ideal.” How much different is this from the Hizbul Mujahideen commander in Kashmir, Zakir Rashid Bhat, who said last month that the stone-pelters should think of themselves as fighting for Islam, and not a nationalistic cause. “I want to tell these brothers that they should not fall for nationalism”, for “nationalism and democracy are not permissible in Islam.” Chaudhry Khaliquzzaman, another early convert to the idea of an Islamic Pakistan before 1947, went to the extent of comparing the Prophet’s moves as an attempt to create the first Pakistan in the Arabian Peninsula. The Indian one was thus the second Pakistan. He too bluntly declared: “Pakistan is not the final goal of the Muslims. We want more. Pakistan is only jumping off the ground. The time is not far distant when the Muslim countries will have to stand in line with Pakistan and then only the jumping ground will have reached its fruition.” In other words, Pakistan is the staging post for global Islamism. It may never happen, but the idea of Pakistan is about Islamist supremacy, not very different from the goals of the Islamic State of Iraq and Syria. General Raheel Sharif, till recently Chief of the Pakistani Army, has been appointed head of an Islamic military alliance, which once again testifies that Pakistan is using events in West Asia to further its own existential cause. Ideology, not territory, is the motivating factor behind the idea of the Pakistan state. As long as it holds on to its idea, Pakistan cannot be called a failed state. Pakistan is a state of mind, not just a defined geographical area. To defeat a state defined by ideology, you need to defeat that ideology. Defeat in war is not good enough. Article 370 is India’s tribute to the two-nation theory propounded by Allama Iqbal and his disciple, Mohammad Ali Jinnah. It is an implicit recognition of Pakistan’s position. If you told this to a Kashmiri today, he would probably laugh at you in your face, if not call you a downright fool. He would be justified in doing so, because this is exactly how India has behaved over 70 years. Jawaharlal Nehru succumbed to the wily designs of Sheikh Abdullah. He conceded Article 370 to Sheikh against the better judgment of Constituent Assembly. A history of how Article 370 came into being can be read here. In the context of part 1 of this article, Article 370 only serves to strengthen the separate character of J&K in terms of the Islamic Shari’a ideology. Ethnic cleansing of Kashmiri Pandits is direct result of Article 370 and Article 35A of the Constitution. Therefore, no permanent solution for Kashmir can even be thought of before the abrogation of Article 370. India cannot honour the separate character of J&K in terms of Shari’a on the one hand and seek to integrate Kashmir into the mainstream on the other. This is where the game has to begin. National Aeronautics and Space Administration scientists on Thursday released new global maps of Earth at night, providing the clearest yet composite view of the patterns of human settlement across our planet. All Photographs: NASA Earth Observatory images by Joshua Stevens. IMAGE: A night time view of India and its neighbouring areas in 2016. Despite being one of the poorest nations in the world, Afghanistan may be sitting on one of the richest troves of minerals in the world, valued at nearly $1 trillion, scientists say. Afghanistan, a country nearly the size of Texas, is loaded with minerals deposited by the violent collision of the Indian subcontinent with Asia. The U.S. Geological Survey began inspecting what mineral resources Afghanistan had after U.S.-led forces drove the Taliban from power in the country in 2004. 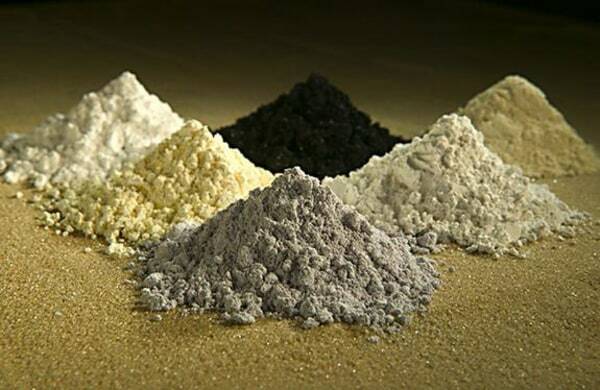 The aerial surveys determined that Afghanistan may hold 60 million tons of copper, 2.2 billion tons of iron ore, 1.4 million tons of rare earth elements such as lanthanum, cerium and neodymium, and lodes of aluminum, gold, silver, zinc, mercury and lithium. For instance, the Khanneshin carbonatite deposit in Afghanistan's Helmand province is valued at $89 billion, full as it is with rare earth elements. "Afghanistan is a country that is very, very rich in mineral resources," geologist Jack Medlin, program manager of the USGS Afghanistan project, told LiveScience. The scientists' work was detailed in the Aug. 15 issue of the journal Science. On December 27, 2016, China’s Information Office of the State Council published its fourth white paper on space titled “China’s Space Activities in 2016.” The paper and the preceding 2011, 2006, and 2000 papers largely follow a pattern of release, sequenced and synchronized with the governmental cycle of Five-Year Plans that are fundamental to Chinese centralized planning. Last year’s paper provides the customary summary of China’s space accomplishments over the past five years and a roadmap of key activities and milestones for the next five years. Since the white paper was the first one issued under President Xi Jinping, it is not surprising that the purpose, vision, and principles therein are expressed in terms of his world view and aspiration to realize the Chinese Dream of national rejuvenation. Therefore, one should read beyond the altruistic language and examine the paper through the realpolitik lens of the purpose and role of space to the Chinese Dream; the vision of space power as it relates to the Chinese Dream; and principles through which space will play a part in fulfilling the Chinese Dream. Notable areas to consider include Beijing’s intent to provide basic global positioning services to countries along the Silk Road Economic Belt and 21st-Century Maritime Silk Road in 2018; construction of the Belt and Road Initiative Space Information Corridor; strengthening bilateral and multilateral cooperation that serves the Belt and Road Initiative; and attaching the importance of space cooperation under the Brazil, Russia, India, China, and South Africa (BRICS) cooperation mechanism and within the framework of the Shanghai Cooperation Organization (SCO). Network breaches? NSA research director says we ain’t seen nothing yet. The meeting between President Trump and China’s President Xi Jinping at Mar-a-Lago takes place amid against new reports of Chinese-government-sponsored industrial espionage and the concerns of top science minds in the intelligence community that China is eclipsing the United States in a key area of national security concern: high-performance computing. In January, China announced that it intends this year to build the world’s first exascale supercomputer, capable of running one quintillion, or 1018, operations per second. Two months later, the National Security Agency and the Department of Energy released areport stating that China was pulling ahead of the United States in the field of supercomputing. “That’s a significant national concern for us,” Deborah Frincke, the director of research at the National Security Agency / Central Security Service, said at an National Defense Industrial Association event on Wednesday. Global Times, one of the most influential media organs in China, carried a provocative editorial on India last week in which it asked the rhetorical question: Is India capable of withstanding a “geopolitical” onslaught from an economically and militarily stronger China? “With a GDP several times higher than that of India, military capabilities that can reach the Indian Ocean and having good relations with India’s peripheral nations, coupled with the fact that India’s turbulent northern state borders China, if China engages in a geopolitical game with India, will Beijing lose to New Delhi?” it asked mockingly. The provocation was the visit of His Holiness the Dalai Lama to Tawang in Arunachal Pradesh. The Dalai Lama’s visit was purely religious and spiritual. He has himself clarified that the visit was a routine one like the ones he had undertaken to that state on six earlier occasions. He restricts himself to preaching and sermons most of the time during such visits and occasionally participates in other events. Even in such secular programmes, the Dalai Lama’s discourses are usually on universal wisdom and the greatness of the ancient Indian knowledge systems, etc. He hardly raises political issues, much less the happenings in Tibet or China. Yet, every time he has visited Arunachal Pradesh, the Chinese media has reacted. Even the visits of other Indian leaders have attracted the umbrage of the Chinese. Whether it was President Pratibha Patil’s visit or that of Prime Minister Manmohan Singh subsequently, they attracted criticism of varying degrees from the Chinese side. The Indian side also routinely rubbished the criticism as unwarranted interference in the internal affairs of our country. Despite areas of tension and distrust between Beijing and Moscow since normalizing relations in 1989, the two countries’ militaries and defense establishments have steadily worked to minimize and overcome these differences and are now experiencing arguably the highest period of cooperation. This staff report analyzes the three main components of military-to-military ties—military exercises, defense industrial cooperation, and high-level military contacts—which show increases in the level and quality of engagement, collectively reflecting closer defense relations. The report also describes the security implications of recent developments in Sino-Russian defense cooperation for the United States and the Asia Pacific. The sheer number of conflicts in the Middle East is daunting. Battles are raging in Syria and Iraq, in Yemen, and in Libya. There is a low-grade insurgency in the Sinai Peninsula, and Shi`a communities in Saudi Arabia and Bahrain are seething. The Western Sahara raises tensions between Algeria and Morocco. Tiny Jordan hosts millions of refugees from three neighboring states, and it labors to prevent radical Islamist movements from two of them from inspiring radicals in the Hashemite Kingdom. The entire Middle East seems on fire. But paying attention to the number of Middle Eastern armed conflicts is the wrong approach. What is most striking about the Middle East’s conflicts isn’t their number, it’s their duration. Many have gone on for decades or more, with little sign of resolution. While some see the region’s ongoing armed conflicts as a sign the Middle East is simply hopeless, the conflicts are in fact a reminder of something else: the military tools that many have relied on in the Middle East are often poor instruments with which to solve the region’s problems. The wide array of military-led republics in the Middle East would certainly have you believe otherwise, as would many of the monarchies that would prefer a world in which politics play a small role. Yet, the “win” column for military victories is small. Arguably, the Jordanian army defeated a Palestinian state-within-a-state in 1970, and Israel ended a similar Palestinian presence in southern Lebanon in 1982 (inadvertently ushering in an 18-year Israeli intervention). Each solved a particular problem for an individual government, but neither brought a conflict to a close. NEW YORK (Reuters) — Ukraine has partnered with global technology company the Bitfury Group to put a sweeping range of government data on a blockchain platform, the firm’s CEO told Reuters, in a project he described as probably the largest of its kind anywhere. Bitfury, a blockchain company with offices in the United States and overseas, will provide the services to Ukraine, CEO Valery Vavilov said in an interview Wednesday. Between August 8th 2014, and December 15th 2016, the United States and its allies conducted 16,806 strikes on Islamic State (ISIL) targets throughout Iraq and Syria in the conduct of Operation Inherent Resolve (OIR). The coalition flew 127,764 sorties over the 857-day air campaign, and 4,500 coalition sorties were flown per month on average. Per the Combined Forces Air Component Commander (CFACC), approximately fifty percent were tactical sorties, and half of those employed ordnance. This means that on average, 1,125 strikes were conducted per month, or nearly forty per day, for over two years in an effort to meet the ends of the nine lines of effort outlined by President Obama in November 2014. According to quarterly reports released by the Lead Inspector General for Overseas Contingency Operations, airstrikes generally account for only three or four of the nine lines of effort. These are namely “Denying ISIL Safe Haven” through direct action and attrition, “Disrupting ISIL’s Finances” via strikes on banks oil infrastructure, indirectly “Supporting Effective Governance in Iraq” by supporting Iraqi Security Forces’ operations, and “Interrupting the Flow of Foreign Fighters” through coordinated interdiction operations with Turkish forces (and similar operations). These operations cover less than half of the lines of effort yet are by far the costliest, accounting for at least 63% of the operation’s $12.3 million daily cost – a figure which is an increase over the approximate $10 million per day cost reported a year prior. The air war over Iraq and Syria is costing the US an average of at least $7.8 million per day and this cost is rising. David Maxwell: I strongly recommend reading LTG(RET) Charles Cleveland’s Eight Points in his opening statement on pages 27-36. It isone of the best and most clear articulations of what UW and SOF are all about. I have provided short excerpts of each of the 8 points below but read the whole statement as the details are very important. General Cleveland: Thank you. Chairman Ernst, Ranking Member Heinrich, members of the subcommittee, thank you for the opportunity to share some thoughts, some old- guy thoughts as I would say, on unconventional warfare, population-centric warfare, and the challenges the U.S. faces encountering nontraditional or nonconventional strategies. I offer the following eight points: First, recognize that these population-centric wars are different from traditional war. Two dangerous myths are that such wars are only a lesser case of traditional war or, to the contrary, these are graduate levels of the same war. Neither is correct and both lead to bad assumptions that we can be successful by just doing better with what we have got or go bigger with what we have got or invest more money more wisely. Even as military commanders try to adapt to a new generation of cybersecurity recruits, the new cadre of officers faces some resistance in the armed forces’ culture and structure. The Army officer of tomorrow is going to have to be as adept at fending off network intrusions as he or she is at firing an M4 carbine rifle. Yet even as the armed forces recruit and train a new generation of cyberwarriors, they are also confronting cultural changes to accommodate those young recruits. Some Army officers and others steeped in the military say the service branches need to become more flexible and less hierarchical to adapt to this new class of recruits — and to retain them. The armed forces also need to rethink what makes a good soldier in the age of cyberwar. At the same time, military culture is not going to change overnight, officers caution. There will likely be some push-and-pull between the top brass and lower-level officers as the services try and figure out how to bring a new kind of soldier into their ranks. The Liberation Tigers of Tamil Eelam (LTTE) were a highly successful terrorist organization who were famous for successfully forming a fully functional military. Their fight for separation from the Sri Lankan government lasted a quarter century, and parallels can be drawn between the Sri Lankan conflict and the current situation in the Middle East (and elsewhere). With civilian casualties reaching staggering numbers and negotiations leading nowhere, Sri Lanka had elected a new government and, with it, a new approach. By leveraging popular support, utilizing external countries to manage the conflict, and employing strategic military measures, the new Sri Lankan government recovered its country. Duplicating similar political actions and military maneuvers as those that proved successful for the Sri Lankan government may usher in peace for the Middle East. The Liberation Tigers of Tamil Eelam (LTTE) are an ethnic secessionist terrorist organization stemming from Sri Lanka. Following the Sri Lankan liberation from Britain in 1945, two predominant ethnicities emerged, the Sinhalese and the Tamil, who made up approximately 74% and 18% of the population, respectively. The two ethnic populations lived in relative peace for almost a quarter century following their separation from Britain. However, a slowly growing unequal distribution of power left the Tamils politically and socially isolated. As a result, tensions between the two ethnicities rose, and the Tamil sought separation. To make separation a reality, Velupillai Prabhakaran formed the LTTE in 1976. The organization desired to establish a separate state, called Tamil Eelam. The framework of the organization was both hierarchical and pyramidal, made up of a two-tier structure that included military and political elements. It was hierarchical in the sense that Prabhakaran was the chief, but pyramidal in the sense that there were leaders of sub-groups and multiple centers of powers amongst those groups. The Central Governing Committee, headed by Prabhakaran, oversaw both the political and military dimension while empowering subordinates to achieve intelligence, political, and military success. This distribution of power set the LTTE up for a favorable outcome. The United States has been the standard-bearer for free trade, multilateralism, and globalization since the end of World War II. However, as the Trump administration seems to back away from that historic role, new powers like China are rushing – at least rhetorically – to take advantage of the strategic and economic vacuum that a more isolationist America might leave behind. Some fear that Washington’s apparent retreat from free trade and global leadership may provoke an international strategic realignment, a convergence of interests between the world’s remaining proponents of free trade, multilateralism, and globalization. The Cipher Brief’s Fritz Lodge spoke with Parag Khanna, author of the best-selling book Connectography, about whether such a realignment is taking place and what it could mean for the United States and the world economy. The Cipher Brief: With what appears to be a more economically protectionist and diplomatically isolationist U.S. president in the White House, as well as the disruption caused by Britain’s impending exit from the European Union, do you see an opposite reaction from countries and leaders that continue to espouse globalist ideals? Is this leading to economic or strategic realignment? Parag Khanna: I think the countries that have mutual interests want to continue uninterrupted by this new western volatility and new western trade policies. They want to move forward. In our feature article, Seamus Hughes and Alexander Meleagrou-Hitchens focus on the threat to the United States from the Islamic State’s “virtual entrepreneurs” who have been using social media and encryption applications to recruit and correspond with sympathizers in the West, encouraging and directing them to engage in terrorist activity. They find that since 2014, contact with a virtual entrepreneur has been a feature of eight terrorist plots in the United States, involving 13 individuals. In our other cover article, Ahmet Yayla, the former police counterterrorism chief in the Turkish city of Sanliurfa near the Syrian border, outlines how investigations into the New Year’s Eve Reina nightclub attack in Istanbul have made clear the “immense scale of the Islamic State threat to Turkey.” While the attack, remotely steered by Islamic State operatives in Raqqa, was the work of a single gunman, a 50-strong network in Istanbul with access to at least half a million dollars provided logistical support. With the Islamic State declaring all-out war on Turkey, Turkish counterterrorism capacity severely weakened by recent purges, as many as 2,000 Islamic State fighters already on Turkish soil, and the possibility that Islamic State fighters will flood into Turkey as the caliphate crumbles, Yayla warns of severe implications for international security. Israel, the world’s largest exporter of drones? The world’s leader in missile defense systems? On par with the United States and China in cyber security? It may be hard to believe, but it’s true, according to veteran reporters Yaakov Katz and Amir Bohbot in a new book, “The Weapon Wizards: How Israel Became a High-Tech Military Superpower” (St. Martin’s Press). Katz, who recently spoke with The Jewish Press, is editor-in-chief of The Jerusalem Post and a lecturer at Harvard University’s Extension School. 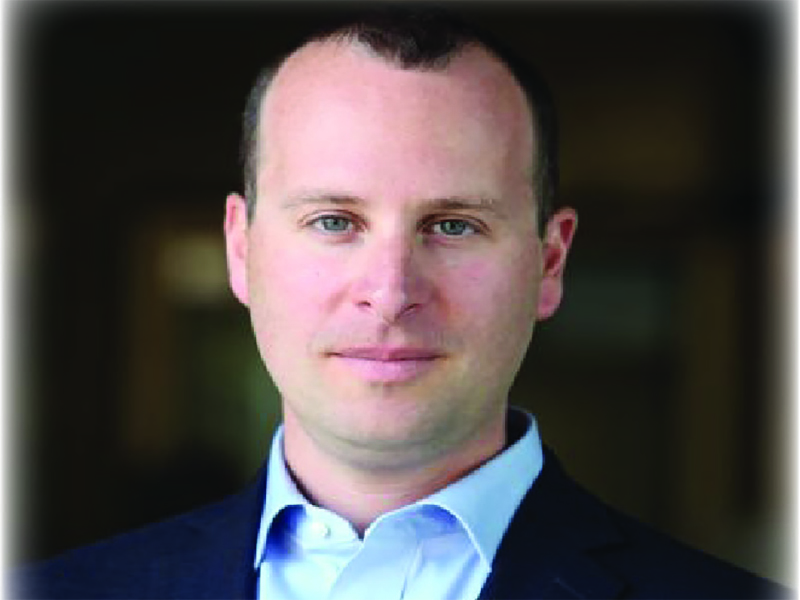 Bohbot is military editor and senior defense analyst for Walla, Israel’s leading news website. The Jewish Press: You write in The Weapon Wizards that Israel is one of the world’s top six arms exporters, selling weapons to such countries as China and India to the tune of $6.5 billion a year. What kind of weapons does it sell? Katz: India is one of Israel’s biggest customers. Israel sells it anything from drones to missile defense systems to anti-ship missiles to radar systems. It’s a very close relationship. As for China: Israel doesn’t sell it anything anymore. That was a decision made about 13 years ago after the United States basically presented Israel with an ultimatum: either sell to China or have an alliance with the United States. Israel decided to side with the U.S. Before that ultimatum, it sold billions of dollars of weapons to China – drones, missiles, artillery shells, etc. You write that Israel is responsible for 60 percent of the drones exported worldwide since 1985. That’s a remarkable statistic. Who buys drones from Israel? One U.S. official familiar with the reports said they contained valuable political information on the Trump transition such as whom the Trump team was meeting, the views of Trump associates on foreign policy matters and plans for the incoming administration. Lake’s source is doubtless correct that these reports contained “valuable political information,” even if his conclusion that there is a legitimate “unmasking” scandal afoot is off base. Because America is important, foreigners spend a lot of time talking amongst themselves about Americans. The NSA targets the communications of influential foreigners, so we should expect the names of Americans to appear on a routine basis. Moreover, American officials who are named in intercepts often have reason to be grateful for that fact. The cybersecurity wars of the future will be fought by good artificial intelligence (AI) bots and bad ones, with the rest of us just watching to see who wins, writes Telecoms.com (Banking Technology‘s sister publication). That’s the future according to Jason Hoffman, Ericsson’s VP of cloud infrastructure. It isn’t quite as dark as the world being taking over by robots or sentient beings, but it’s a very realistic possibility due to the vast complications and workloads which will soon be placed on security teams. It’s a world which pits computer against computer, where Darwinism has taken a twist. The definition of “fittest” moves away from strength and into the sphere of the intellectuals. But this is the end of the story, not the beginning. At the beginning, where we are right now, there is a shift in the security paradigm. In the first instance, its due to the way infrastructure is purchased and managed. In years gone, buying and securing infrastructure was relatively simple. You bought the hardware and set up restrictions surrounding the software do define who could access sensitive areas. The introduction of cloud computing has increased accessibility, and therefore the way in which we make our life secure. Analysts at Symantec found a curious pattern in malware alleged to have been developed by the CIA: all the timestamps are Monday through Friday. Hacking tools that WikiLeaks says were developed by the CIA have now been linked to an operation that targeted governments and corporations all over the world during the past six years. The tools, which include malware that can be used to take control of myriad devices and applications, were described in 9,000 documents and files that WikiLeaks released last month in an archive it calls Vault 7. After analyzing the details of the malware described in the archive, investigators at Symantec found close forensic matches to several pieces of invasive software they had been tracking since 2014. That malware had infected at least 40 targets in 16 countries since 2011, the company said in a blog post, and was possibly active as far back as 2007. “The group appeared to work a standard Monday to Friday working week, based on timestamps and domain name registration dates, behavior which is consistent with state-sponsored groups,” the company said in a blog post about its analysis, published April 10. Over the past few years, there's been a lot of talk about nations state attackers and the impeding reality of Cyberwar. There's been a lot less talk about protecting against cyber terrorism, although it's an area ripe for the kind of technological innovation that security vendors can provide. It's an area that they should be tracking closely. Some of those organizations have become extremely proficient in leveraging social media and various messaging platforms to serve their goals.